Do you call yourself a “Christian”? To say, “I am a Christian” is a very confusing thing. People think it implies a whole bunch of things. Maybe you’d say a Christian is someone that believes in God, or goes to church, or thinks certain things about Jesus. Maybe, it would imply a whole lot of negative things for you like, they are a bible basher, or they hate homosexuals or they are hypocrites who don’t practise what they preach. dentify themselves, but because if they called themselves a “Christian” it would fail to communicate what they really mean. I do this myself sometimes. For example, if your go to my “About” page on Facebook, under my “Religious Views” status it doesn’t say “Christian”. It says “Follower of Jesus”. But what am I trying to say by doing this? Am I trying to distance myself from the coldness of traditional Christianity even though I happily believe pretty much all the doctrines that traditional Christianity professes? Am I trying to express what it means to be a Christian more practically – in that it means to be a disciple of Jesus, following him in word, belief and action? Or do I just want to sound cool? I don’t know. Probably the second one, with unfortunate touches of the third, with an acknowledgement of the first. 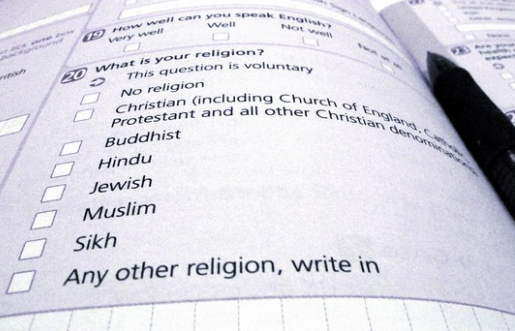 In the end, anyone can tick the “Christian” box on the census, and of those people many can articulate what they mean by that label. 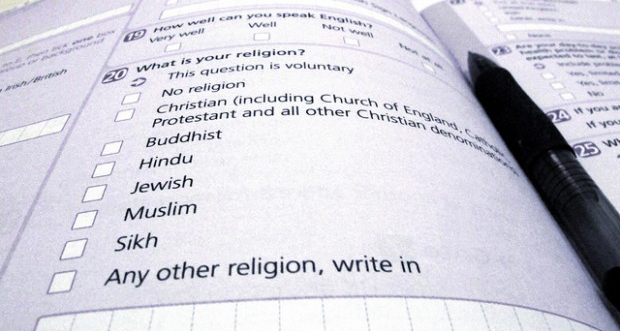 For example, one of my work colleagues once explained that they are a “Christian” purely on the basis that years ago they went to a religious high school, even though now they scoff at the idea that God exists. There are others, of course, who call themselves Christian, but have absolutely no idea why they are or what that means. They only know that’s what they’ve always been. The big problem is, in this culture where words and definitions are so subjective and everyone has the right to call themselves whatever they want, it is culturally taboo to say to someone, “You aren’t a Christian”. I experience this taboo when I try to explain what Christians believe. When I say, “Christians believe that Jesus is God incarnate” or “Christians believe that the Bible is the authoritative Word of God” or a more controversial one like, “Christians believe that sexual activity outside of heterosexual marriage is sin” or even “Christians believe in the bodily resurrection of Jesus”, I am met by some who would say I am being arrogant or narrow-minded or just plain wrong. On one level, I’m not really telling the whole story when I say those things. 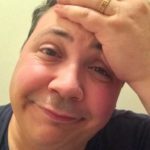 There are many Christians who don’t believe in the incarnation or the resurrection, and even more that don’t hold to the sexual ethic I believe in. In fact, I guarantee you if Iwrote a comment on my Facebook wall saying “Christians believe X” the one person who called themselves a Christian who didn’t believe X would write a comment. So what should we say? Should we say that the definition of “Christian” is completely subjective and all encompassing? 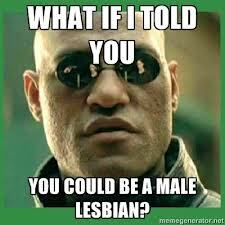 I think to do that would be ridiculous. If a word does not have any definition that can be defended, then the word becomes nonsensical. I might as well call myself an African-American, vegetarian lesbian, and simply say my definition of those words is just different to yours. To deny someone’s self evaluation is a very dangerous thing. But in some situations it must be able to be done. A person with cancer may believe they are completely well despite what the doctor says. Someone you break up with may not get that they are no longer your “boyfriend” or “girlfriend”. 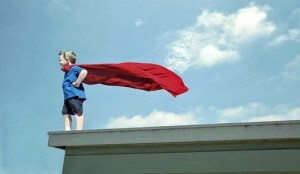 Just because a child believes they are Superman doesn’t mean you should let them jump off that building. Sometimes people believe they are something when they are not. Sometimes there really is a correct definition of a word or a title and it should be explained and even defended. I believe the title of “Christian” falls into this category. What I mean by this is, I think there is a true definition of what it means to call yourself a Christian. I think some people who call themselves a Christian aren’t really Christians and I believe it is right (and even loving) to help people see this. My wife told me of a conversation she had years ago with a friend who called themselves a Christian. After Cat had explained the gospel to her, her friend concluded with, “Well, I guess if that’s what a Christian is… then I guess I’m not a Christian.” This was an important moment of realisation for her and she remains “not a Christian” to this day. I find this actually a wonderful story. Not because she remains a non-Christian today (I hope that this will not always be the case), but I love a story where true Christianity is clarified and explained. Where all the crap and misconceptions and packaging and traditions and labels get pealed off, and raw, simple Christianity is left. It also brings me joy that my wife’s friend will not be one of those that Jesus warned us not to be – who call Jesus “Lord, Lord” but will be told by Jesus that he never knew them. What a tragic mistake that would be! If you are in deep trouble with God then it is better to know it upfront so you can respond to God’s offer of salvation, rather than get to the end thinking God is your friend and meet him as an enemy. The challenge is working out where the boundaries are. To not be too exclusive and not too inclusive in the definition. I’d love to write more about what markers I use to define Christianity (and therefore “Christians”). I’ve thought through how we work out what is peripheral and what is core, and how much we screw up when we get those categories wrong. If you’d like to know my thoughts on some of those topics, I’ve written a couple of blogs that might be of interest to you. “Jesus Christ – What’s in a name?” looks at what I think is core to Christianity, and “The Simple Gospel” is a an encouragement to not be too exclusive in how you define who’s in based on whether they believe everything a Christian should. There is another option that I and other Christians have sometimes employed when we find the term Christian is too easily misinterpreted. That is to add a clarifying adjective to the noun. What I mean is, some people use the title, “Bible-believing Christian” or “Born Again Christian” or “Evangelical Christian” in order to distinct themselves from other Christians. This often appeases those that believe that you can’t say someone is not a Christian – just that they’re not your “kind” of Christian. I understand the desire to employ these adjectives, and sometimes they are very helpful. For example, I would say that I am an evangelical Christian. This means primarily that I am focus on the gospel (“euangelion” means “gospel” in greek). It probably also implies that I believe in the importance and authoritative nature of the Bible as the inspired Word of God, but there are many Christians who are not evangelical who would also agree with this. Pentecostals for example, also believe this, but a pentecostal Christian would have more of a focus on the Holy Spirit and the supernatural works of the Spirit as seen on the day of Pentecost (speaking in tongues etc.). Now I fully believe that many pentecostals are Christians. (In fact, I was led to Christ through a godly pentecostal family and I attended for a few years their wonderful pentecostal church.) I also admit that many evangelicals may NOT be Christians. But I do believe that in some ways (mainly in their focus) evangelicalism is more true to Christianity than pentecostalism. So I may call myself an evangelical Christian as a helpful clarification. Now this use of an adjective is more descriptive than divisive as it says that we are both Christians based on a shared belief and trust in the core elements of the gospel. We may be different, but we fully expect to be standing together as brothers and sisters in Christ in heaven. We are both “Christians”. Other adjectives however can be quite unhelpful. “Born Again Christian” is one such term. 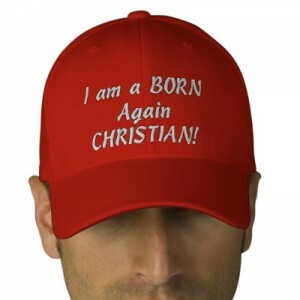 To use that term implies that there are Christians who aren’t “born again”. But from Jesus’ perspective, this is never the case. As Jesus clearly states in John 3:3, “Very truly I tell you, no one can see the kingdom of God unless they are born again.” So all unless you are born again then you are outside of the kingdom of God and therefore should not call yourself a Christian. Now, without going into exactly what it means to be “born again”, you can see how saying “I’m a Born Again Christian” may be unhelpful. 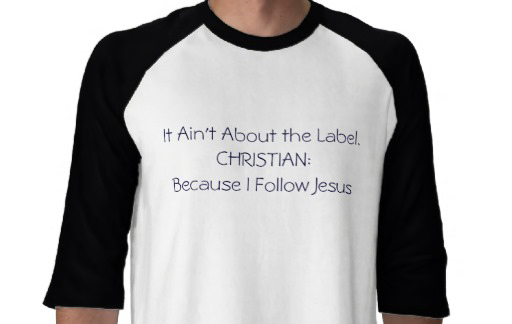 It implies that you can be a “Non-Born Again Christian” – which Jesus says you can’t. I have an uneasiness with the title, “Bible-believing Christian” as well, as it implies that you can completely disregard the Bible and still call yourself a Christian – just not a “Bible-believing” one. I think this is hugely problematic, as the very gospel that defines a Christian, not to mention the teaching and work of the “Christ” that “Christians” take their title after, is only found in the Bible. I understand that various Christians (who I believe are genuine Christians) interpret or apply the Bible differently, and also have a variety of ways of understanding what it means to be the “Word of God”, but I do not see how anyone could say they don’t believe in the Bible at all, and yet still call themselves a Christian. So, sometimes using an adjective before saying you are a Christian can be helpful and sometimes it can be unhelpful. Sometimes it promotes genuine unity and expresses reasonable diversity, and other times it obscures the true definition of what it means to be a Christian. So what do we do? 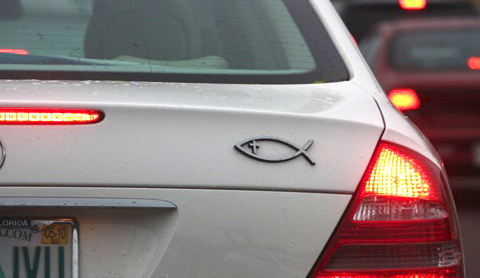 Well, I don’t think we should be ashamed of saying “A Christian is this…” or “A Christian believes this…”. I believe God has been clear on a variety of issues and I believe the gospel that is explained by Jesus and the New Testament writers is the expression of true Christianity. With that conviction Christians should not shy away from expressing, explaining and defending those things that I believe are core or clear. If you disagree with me, and you believe that true Christian believes different things, I encourage you to argue your case. I welcome it! I have been challenged many times and over the years I have valued the times I have been corrected. But our goals must be to see Christ more clearly, to represent him more faithfully and to communicate the gospel more effectively. If you have a goal that is different to that (like, being more politically correct or avoiding saying this that might offend) then we will be on different pages. Having said all that, at the same time, we must also remember that the arms of Jesus are wide. He ate and drank with prostitutes and social outcasts. He was called “a friend of sinners” (Luke 7:34). This does not mean he did not expect people to repent of their sin in order to be a disciple of him, but it does mean that he allowed people to follow him from all walks of life. Don’t be too exclusive or quick to judge someone as not being in the family of Christ. This was a big issue for Jews and Greeks trying to live together as brothers and sisters in Christ in the first century, and this issue of knowing how wide the definition should go has been a challenge for the last two thousand years. 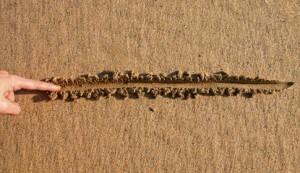 The boundaries are there, just remember to also try to have humility and grace when you are defining them. Lastly, if you call yourself a Christian, stop and think about why. Think about whether you understand what that actually means. And then I challenge you to second guess yourself. Don’t presume that your definition is correct, just because it feels right or fits with your own philosophy. Go back to the writings about Christ found in the gospels and the rest of the New Testament and see whether your definition fits with what is actually there. You may come out with a clearer understanding of what the gospel is and how you can distinct a true Christian from a false one. Or you may discover, like my wife’s friend, that you should not call yourself a Christian after all. If that happens, don’t leave it there. For as much as I hope that you find the true definition of “Christian”, my greater hope is that you would find that Christ is actually true. You wrote “There are many Christians who don’t believe in the incarnation or the resurrection, and even more that don’t hold to the sexual ethic I believe in”. I assume but may be wrong that you are talking about ‘real’ Christians not just those that think they are? I would say it would be very hard to not believe in the incarnation (long term) and be a Christian. There is just too much scripture eg John 1, to maintain that view long term, otherwise you have to argue against scripture in your mind, if you do that why bother? I definitely think you have to believe in the resurrection to be a Christian. 1 Corinthians 15, especially verse 14 makes it clear “if Christ has not been raised…your faith is in vain”. A Christianity without a resurrection of Christ is pointless and then the Pharisees and temple leaders were right, Jesus was a blasphemer who got what he deserved. The death penalty (under Old Testament Law). I do agree Christians can have disagreements about sexual ethics just like a number of ethics but if they know in their heart/mind that what the bible says is true and they suppress that knowledge then they are condemned. 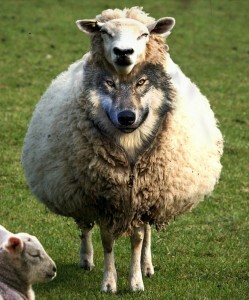 A life lived in unrepentant sin won’t be tolerated whether its sexual practices, greed or drunkeness (1 Corinthians 6). I was just making the point that from one perspective its sounds like you can’t say that Christians believe those things, because from an outsider’s perspective “Christians” believe lots of things. I hope the rest of the blog slightly clarifies what I believe and how you do need boundaries that define Christianity. I agree that the resurrection and the incarnation would be two vital doctrines that are fundamental to Christianity.